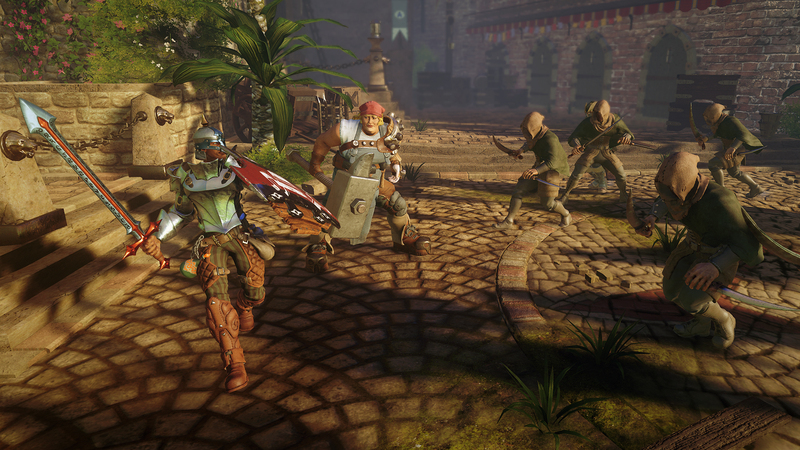 I checked out the first Hand of Fate when it came to the PlayStation 4 back in 2015. I found it to be a very unique mix of card game with some decent action based combat mechanics. 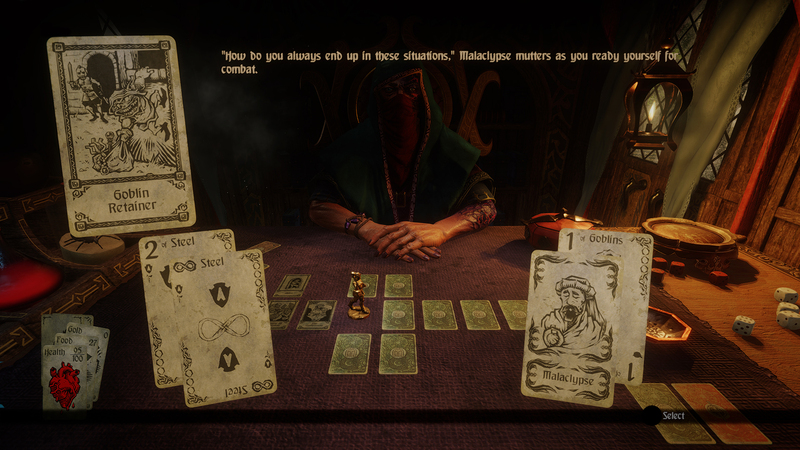 The sequel, Hand of Fate 2, promises a deeper game system, more mini games, and better combat. Let’s see if it can deliver on these promises. Just like last time there isn’t a lot of story here to speak of. The Dealer has returned from the 13 Gates to seek his revenge. The board has changed but the stakes remain the same: Life or Death! There are 22 unique levels each with their own stories to tell, as well as discovering more about your companions that accompany you along the way. While most of the stories are pretty straightforward, I found the companion stories to be the most interesting. These folks have seen some hard times, be it through bad luck, betrayal, or in some cases coming to terms with their past. They also add some depth to the main story by commenting on things at certain points, making it feel more alive. The graphics have been improved slightly from the last entry. The enemy and player models look a bit cleaner and more detailed. The environments still look great, from village streets to snow covered battlefields. There is some new card art this time around that looks just as amazing as they did the last time, I really love this style. If there are tons of enemies onscreen there may be a slight framerate dip during combat but this is very minimal and has no effect on combat. There isn’t a lot of music to speak of. The songs sound very similar to the medieval-sounding tunes from the last game. These are all well placed and add much to the overall experience. The best part about the sound design here is once again the voice acting. 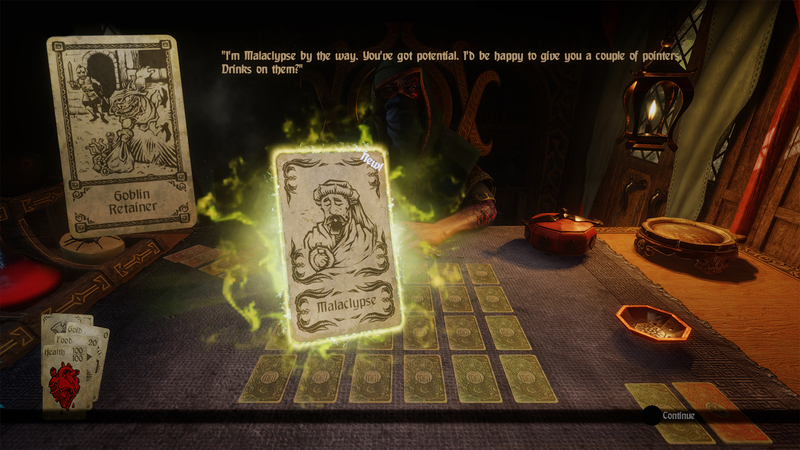 The dealer’s voice sounds cryptic and amazing and the voice work done for your companions is top notch as well. Though there is an audio crackle when the Dealer is speaking when coming back from a loading screen. I hope this gets addressed in a patch later on. The core gameplay hasn’t changed much from the first game. The dealer will deal a group of cards face down on the table. These cards could be traps, monster encounters, or events that could end in a variety of ways. This of course all depends on how lucky you are, since a lot of this game is determined by mini games of chance and skill. For example, some event cards may have you spin a wheel to see if you succeed or fail, while other may have you roll dice, and last but not least, there’s a new pendulum game where you have to shoot a projectile around objects to succeed. Doing well in these events will grant you many perks such as more food, gold, equipment or even a blessing which provides a variety of effects to help you along your journey. Fully completing events will also earn you jewels which will be turned into valuable cards for your deck at the end of the stage. Your objective, just as in the last game, is to navigate each board of cards and reach the final boss. Food will still deplete on each square you land on, and if you run out damage will be taken with each step. The developers did add a camp menu to the game this time around. From this camp you can cook food you have to regain 5 health for each 1 food you use or you can use the shop to buy a limited amount of food or some equipment. Things are also a bit different in each level for this new entry. Each of the 22 levels will have objectives the player must meet before you are rewarded with the jewel at the end of the quest. These range from obtaining a certain number of blessings, recovering artifacts without breaking them and more. This certainly added some depth to the game and ramped up the difficulty a bit as well. Though most of the extra difficulty comes in from just having plain bad luck with the random number generator. 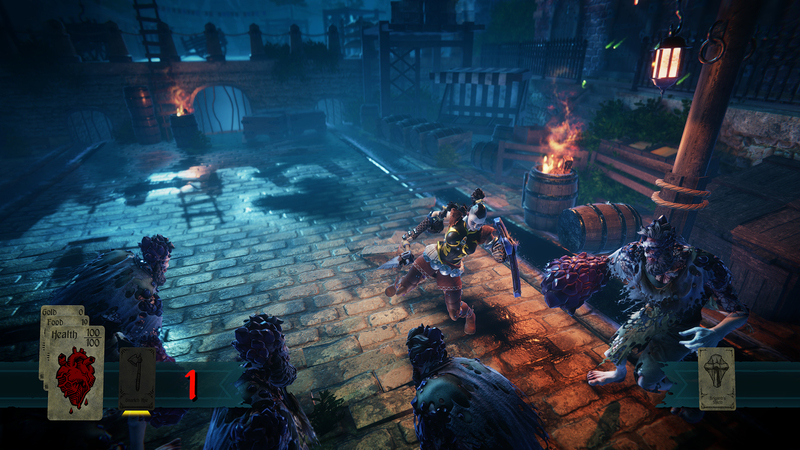 The combat has seen the least amount of improvement in the sequel. They have added some news weapons and having a companion to aid you in combat does spice things up a bit, but it still feels very stiff. Most battles can be won fairly easily once you get the timing on blocks down. Some of the bosses can really give you a run for your money with their special attacks and abilities. Finding the right equipment on certain levels is key to your survival since some of the weapons have unique abilities. While I will say the combat is fun here, it is likely the weakest part of the game. 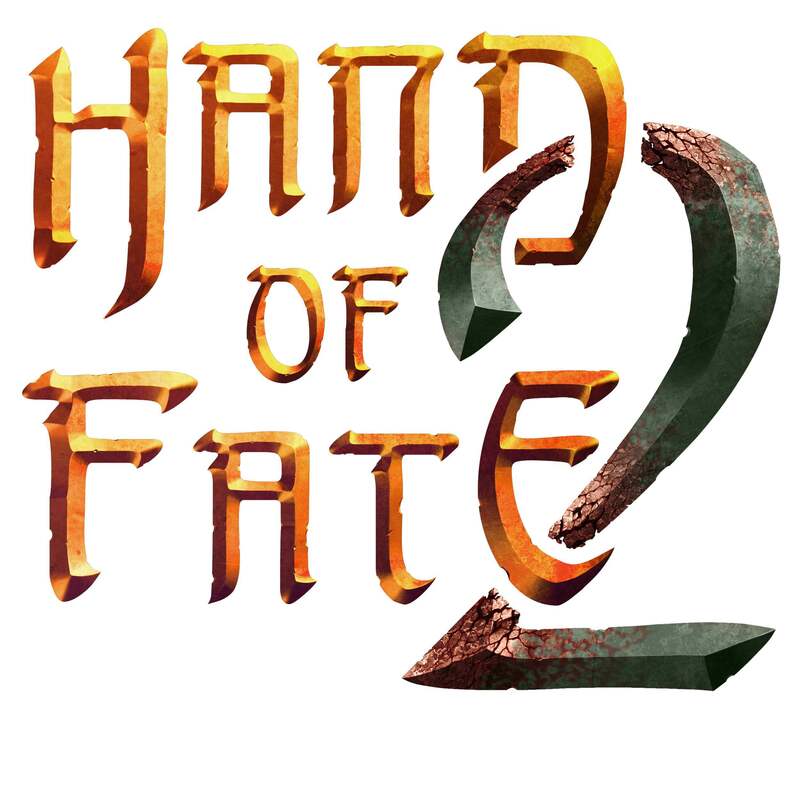 I really enjoyed my time with Hand of Fate 2. This is still one of the most unique games out there that combines a card game, board game, and action combat into one awesome package. There are some sound issues and a few framerate issues but these are very minor. I think the difficulty will turn off some players, but honestly you have to look at this as a game of chance. Most shortcomings in combat can be negated by doing well on the board. The game’s RNG does seem to give you a rough way to go at times, and the new challenges will make it so you will be replaying some maps a few times until things go your way. I wish the Endless Mode, which just crafts you a random story that you can keep playing, was up for this review because it sounds really fun. I put around 20 hours into this one and I’m sure I will be playing more of it soon. If you were a fan of the first game, you should pick this up right away. It does everything the first game did, just a little bit better.